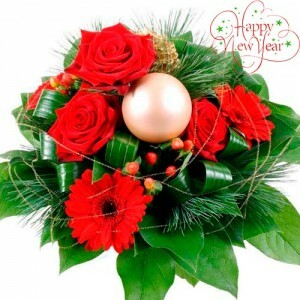 Our Christmas & New Year gifts collection - best way to express your New Year feelings for business associates, clients, friends, and family members located in Moldova. 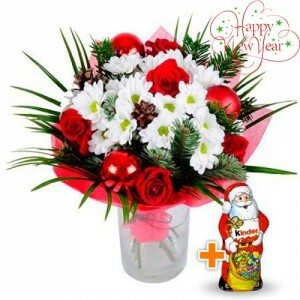 Same day delivery is available in Chisinau. 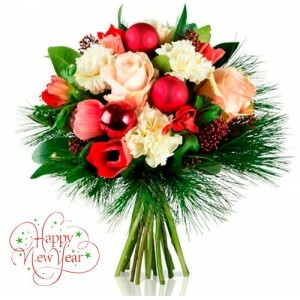 Christmas bouquet #1.Composition: 3 pink roses, 4 white carnations, 5 red tulips, 3 christmas b..
Christmas bouquet #2.Composition: 3 orange roses, 5 orange gerberas, 6 christmas balls, christm..
Christmas bouquet #3. 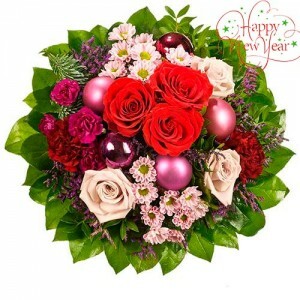 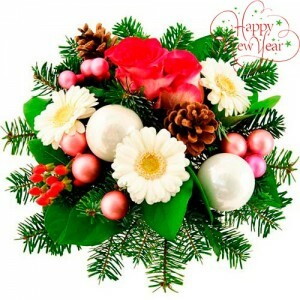 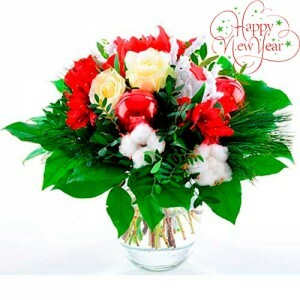 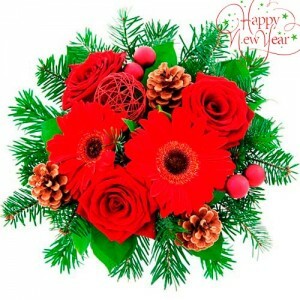 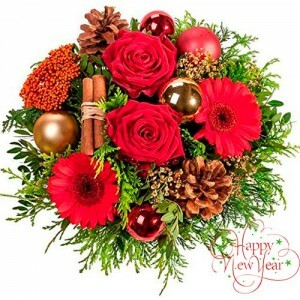 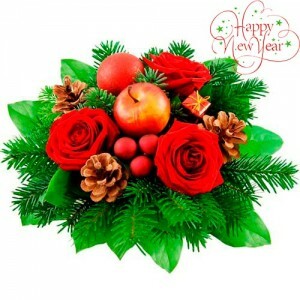 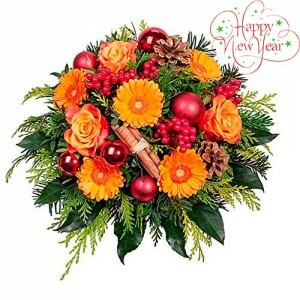 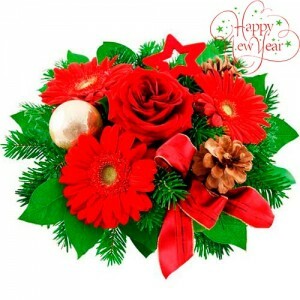 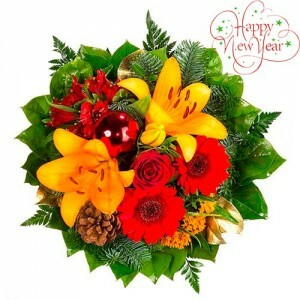 Composition: 3 red roses, 2 red gerberas, 5 christmas balls, christma..
Christmas bouquet #4.Composition: 1 red rose, 2 red gerberas, yellow or white lily, red alstroe..
Christmas bouquet #5.Composition: 3 red roses, 3 pink or white roses, 5 red carnations, 2 pink ..
Christmas bouquet #6.Composition: 3 white roses, 5 red alstroemerias, 2 christmas balls, christ..
Christmas bouquet #7.Composition: 3 red roses, 3 red gerberas, christmas ball, christmas decora..
Christmas bouquet #8.Composition: 2 red roses, 3 white or pink gerberas, 2 silver christmas bal..
Christmas bouquet #9.Composition: 5 red roses, 3 white chrysanthemums, 3 christmas balls, chris..
Christmas bouquet #10.Composition: 1 red rose, 3 red gerberas, christmas ball, christmas decora..
Christmas bouquet #11.Composition: 3 red roses, 2 red gerberas, christmas balls, christmas deco..
Christmas bouquet #12.Composition: 3 red roses, christmas balls, christmas decorations, greener..